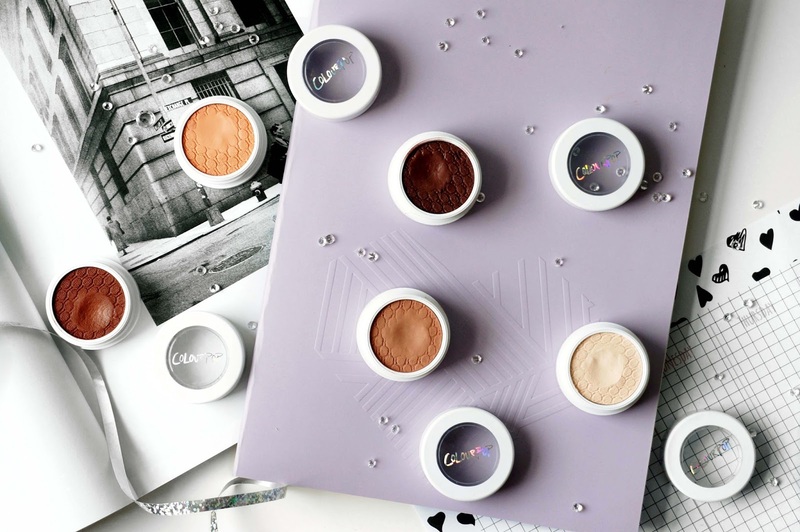 It's been a while since I picked up and used these Super Shock Shadows from Colourpop, today I am sharing the mattes that I have in my collection and my thoughts on the colours and texture. The Super Shock Shadows are priced at $5 each. 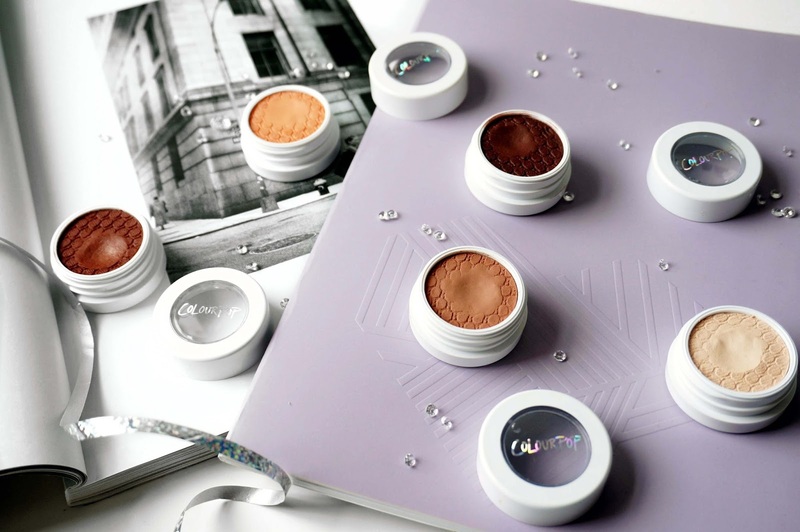 We all know by now that the CP Super Shock Shadows have a bouncy wet texture (if not where have you been?) and is best applied with a synthetic brush or with your fingers tips. In my matte collection, I have Glow, Cornelius, Kennedy, Bandit and Mittens. Glow is a matte creamy vanilla, part of the Kathleen Light collaboration. Personally, I never reach for this colour since I like setting my base with an eyeshadow powder more. The texture of this one is extra soft and is very creamy and easy to apply, if you like highlighting your brow bone or inner corner with a matte shadow, this will be perfect for that. Cornelious another Kathleen Light collab, this is a matte caramel brown shade. This is a beautiful transitional colour for your eyeshadow, but I mostly use it as an all over the lid colour so any Super Shock Shadows I apply on top stick. Kennedy a matte peach, it's unfortunately not available as a single since it came in the Peachy Keen quad but for those who love their peach and orange tones this looks beautiful in the crease, it doesn't sit well with my yellow undertone so I probably should give it to someone else. Bandit, a warm brown with orange undertones, I really assumed I would love this colour but there is too much orange in the eyeshadow and it doesn't sit well with my skin tone. Every time I use Bandit I always use Mittens to tone it down. I know loads of people love Bandit but It hasn't worked for me so far. Mittens, a warm plum brown with slight red undertones. 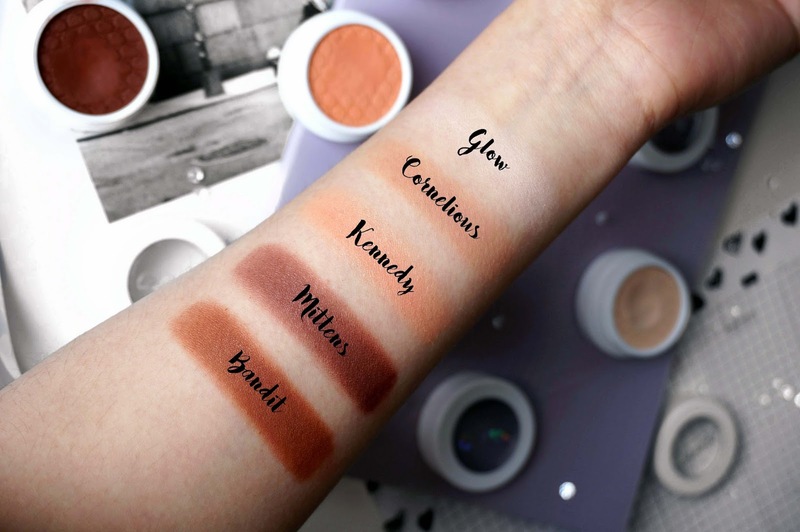 I absolutely adore this shadow and always use this in my crease to blend out the other shadows, if you have yellow undertones like me you would really like this colour and it goes with every single eyeshadow. Overall I haven't had problems with the shadows drying up but I also haven't hit pan, I should really start using them up before I pick up more Super Shock Shadows, if you've tried CP Super Shock Shadows what is your favourite matte shade? I have more Super Shock Shadows to share in my future blog posts. I've also talked about the forwarding service (My Mall Box) that I use to get Colourpop to the UK which I go into detail here and here. I hear so many good things about Colourpop, especially their single eyeshadows, Mittens is such a pretty shade. kennedy is such a pretty color! I've just done a colourpop order and I'm so excited for the stuff to arrive - I've got a super shock shadow in my order eee!